I made homemade baby food as often as possible when Little Sweets was a baby. She loved 99% of everything I gave her, including tofu for finger food, barley cereal and oatmeal with kale (which she still eats every day and won't have her oatmeal any other way!). Now that she's older, I thought I'd try making Homemade Fruit Leather. I followed the directions from Super Baby Food by Ruth Yaron, the same book I used as a reference for all the healthy baby food I made her. What a healthy and fun treat, right? Just pureed, dried fruit... no weird ingredients or added sugar. Prep a 10"x15" cookie sheet (with edges): Place a layer of plastic wrap a little longer than cookie sheet on top and smooth it out. 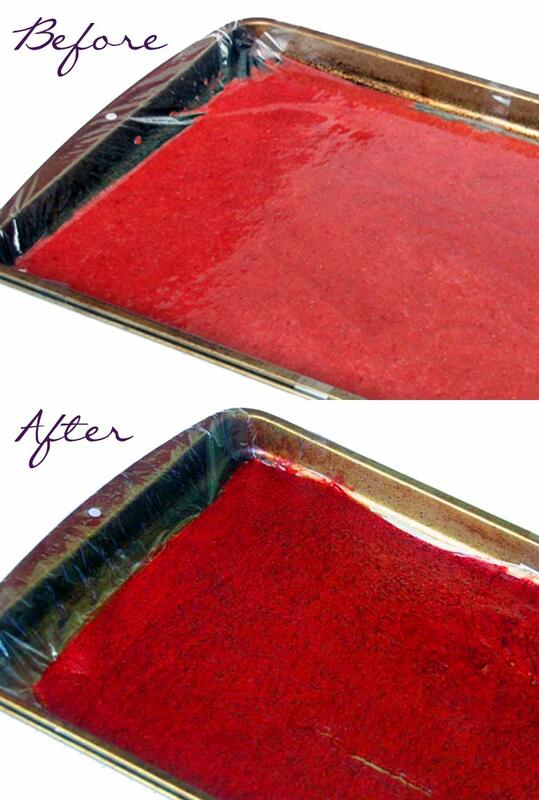 Tape plastic wrap onto cookie sheet along all four edges. My cookie sheet (or oven?) was tilted a bit so I had one corner that was a bit mushy and didn't end up setting well, but the rest dried to a thin and slightly crispy leather. 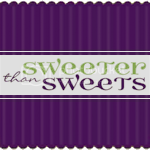 Little Sweets definitely enjoyed this healthy fruit treat! It definitely saves you money, as Ruth Yaron points out in her book. Fruit Roll-Ups cost about $6.00 per pound, so if you're buying or growing fresh fruit for less than that, you're going to save money. Making Fruit Leather is pretty time-intensive and a lot of work to get ten 1"x15" strips (especially since Little Sweets eats like 3 strips at a time) so I'll probably just make it when I have extra fresh fruit on hand. It's a great way to use up slightly overripe fruit, too! Great tutorial, I'll have to give that a try. Great idea! I'd have to do this on a bigger scale but I won't even buy the nasty store version!!!! Thanks for that - my kids will love you! This sounds like it's definitely worth a go. Can't wait to try it! I'm assuming some fruits work better than others... do you happen to know or have a gut instict on some other fruits to try? Yum! And I can't get over the fact that she eats oatmeal with kale--lucky! love that book! love this idea! awesome tutorial! one question: the plastic wrap didn't melt at all? That's awesome! I had no idea you could put plastic wrap in the oven. I can't wait to make this! MyLifeUnderTheBus, Doing it on a larger scale would make it more time-efficient! The book says almost all fruits work great. The exceptions are that blueberries, pears and citrus fruits are too bland so you should mix them with apples or pineapple. The best-sounding combination (to me, anyway) is peach-blueberry! Rebecca and Tutus, I think the plastic wrap is fine in the oven since it's on such a low heat. I was surprised that even the tape came out okay! She does mention in the book that you can do it right on the cookie sheet if you want as long as you spray it or grease it lightly. I used plastic wrap so it would be less messy and I could easily store it for later. I'd suggest that people check the actual temp of their ovens as opposed to the dial temp. My plastic wrap melted because I went by the dial. My fruit also got dry and brittle because of the excess heat. 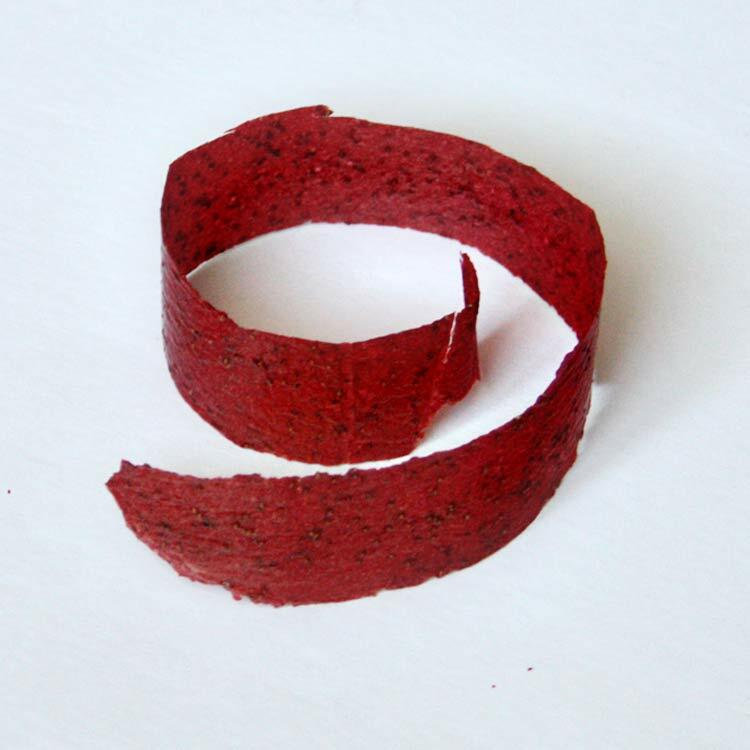 This is a wonderful description of how to make fruit leather. I love the pictures. Thanks for the Super Baby Food mention! My kids love fruit leather. I buy the unsweetened variety, but it still can be pricy. I always thought that I couldn't make my own because I didn't have a dehydrator. I guess I was wrong. Thanks for sharing. I am your newest follower. Come over to Greetings From the Asylum and follow me too! My little one loves fruit rollups! I will have to try this recipe :) Thanks! And thanks for stopping by my blog! 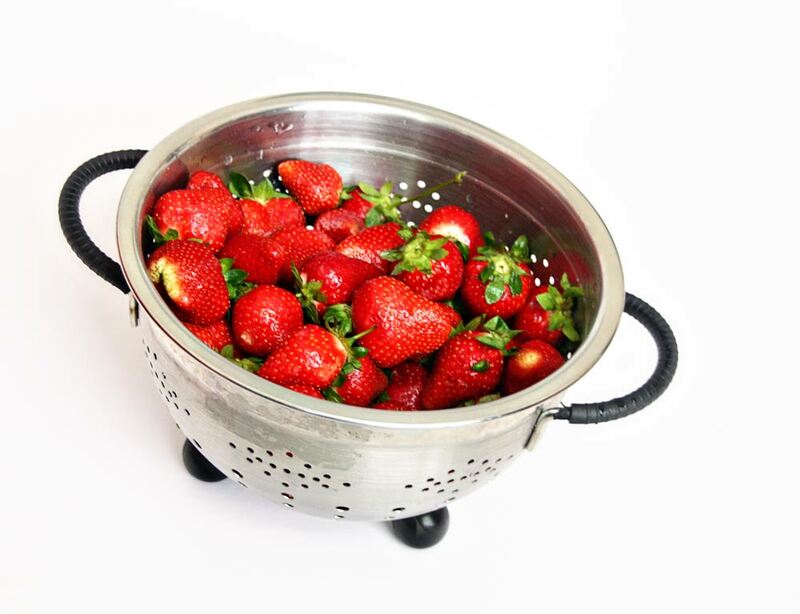 This is a good idea for when those fresh strawberries start to age a little. I definitely need to give it a try! THAAAANK YOU!!!! My kids LOVE fresh fruit and always ask for fruit roll ups but I never buy them in the stores. This is a GREAT tutorial and looks super simple! Thanks for sharing, I'll be making these for SURE! Tricia - great idea - I would love to try this! Thanks for sharing - Hope you had a wonderful weekend! Let me know if you try these out! I'd love to hear what other fruits people like, too. That looks delicious and healthy as a snack! I'm your newest follower and I'm visiting from the Creative Blogger's Party and Hop. Have a wonderful Monday! I have a friend who makes this all the time in her dehydrator but I have never thought to try it in the oven with leftover fruit. Tricia, this is even better than "fruit by the foot." I will try making this for my girls. Linking this up with us made the Creative Bloggers' Party & Hop better and more special. Thank you! HoH thinks you are fantastic! 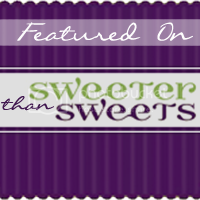 I've featured you at this weeks link party. Stop by and grab a button. You so deserve it! Tricia I came over from Allison's. A really great treat to make! hello, this is freaking awesome.. i love fruit leather, i am sooo giving this a try. Just letting you know that I featured it today at Recognition Day Thursday :) Please feel free to grab the feature button in my sidebar. What a great recipe! I bet my little guy would love these too! We tried it, Tricia, and really liked it! 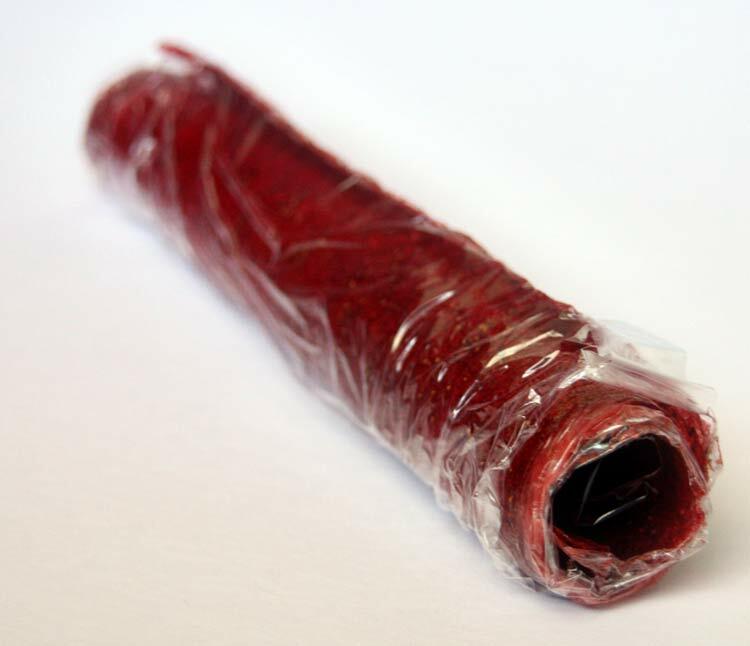 My kids have never had fruit roll-ups so the concept was completely new and fun to them. We made it with strawberries, because we had them from our garden. Then last night, we tried it with canned pineapple (drained), just to see if it would turn out well, and it did. My daughter cried when it was gone, so I think we'll be making this again! I posted about it on my blog www.kimberlyfarmermommyhood.blogspot and gave the link to your blog. Thanks! I wonder if this would work with veggies too... I have a hard time getting my little one to eat veggies. 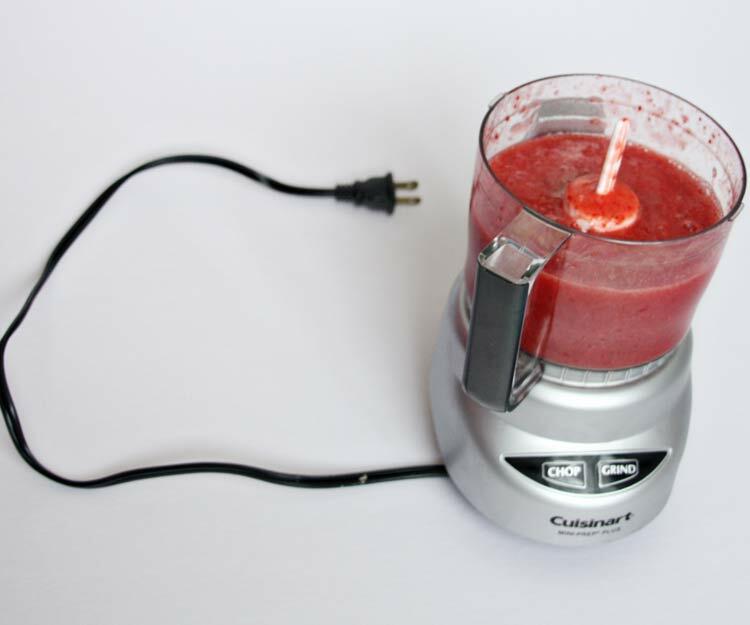 I could puree some squash with strawberries. Hmmm. Thanks for the tips!!! Well technically my baby is only 3 months so I haven't fed her anything unusually healthy yet! However, I am going to make my own baby food and this book would be helpful to guide me in the right direction! Hey everyone! Thanks for checking out my blog. You can win your own copy of the Super Baby Food book if you enter my giveaway here! I'm glad you're all enjoying it and let me know if the squash works, Joanie. That's a great idea to mix in some pureed veggies (probably the ones that don't have a really strong flavor like squash would work best!). Tricia, this is such a fantastic idea. I can't wait to try this and see if my little guy approves =) Thanks so much for linking to The Sunday Showcase Party - I greatly appreciate it. I have featured this Sunday. Have a wonderful week. You're welcome for linking, Sarah and Stephanie Lynn. Thanks for coming by to check it out! I just found your blog and had to post that you can make it with a mixture of applesauce - that'll cost the cost down too. We used to make them using my parents' food dehydrator but it's broken now so we want to replace it. I never thought of doing it in the oven - guess I need to get my copy of the book out and read the toddler recipes!! Megan, thanks for letting me know! That's a great idea if you don't have enough of one kind of fruit too. I just tried making my own fruit leather and thought I'd post my results. Since I have little ones, I was nervous about leaving the oven door open while cooking, so I opted for the 275-degree option and letting the leather sit in the oven for 8-10 hours. Because I was using the higher temperature, I wasn't sure if putting plastic wrap was a good idea, so I just sprayed my cookie sheet well with olive oil spray. After the 10 hours in the oven, the fruit leather was still very wet! I think this may be because my oven has a fan that runs after you turn it off that (I think) helps to cool it off inside. So since my kids were in bed at this point I opened up the door and cooked it again for about 2 hours at 175-degrees, and then closed the door and left it overnight. This morning everything looked great... until I started to peel the leather off of the cookie sheet. It peeled the teflon off of my non-stick cookie sheet! The pan and the fruit leather are both ruined! I tasted a little piece anyway and it tastes great. I don't think it's overcooked, but I wanted to warn others that you probably want to use the plastic wrap option, and that you might have to adjust your cooking time if your oven has the same kind of fan mine does. I will try this again as soon as I get some more strawberries. Hopefully with my lessons learned my kids will finally get to eat their healthy snack! Anyway, thanks for posting this. Love your blog! Thank you so much for taking the time to share with us your results! I would've been worried about the plastic wrap on the higher temp too, but I'm surprised about the teflon coming off. I'm so sorry to hear that happened! I don't have the fancy oven that has the fan but I know what you're talking about and I'm sure that does make a difference. I really appreciate you leaving a comment so others can hear about your results! I tried the 275 option too, and this morning mine was still wet. So right now my oven is at 175 and we'll see how it turns out... I used plastic wrap though, whew! I wonder if this will work with peaches! I am gonna have to try this one out! Couldn't you also use baking parchment paper? I would think putting plastic to any amount of heat wouldn't be the desirable option? Chemicals leaching and all... Have to try it - looks yummy! When my youngest was on WIC, they gave us a TON of baby food because I was breastfeeding. I used a LOT of it to make fruit leathers for the older kids using a method similar to this (I probably found the directions in SBF as well). I found that parchment paper worked better than plastic wrap because the wrap COULD melt at times, I don't know if that was from someone knocking the temp dial or if the gauge was off or what, but it did happen.